The BBC Trust published an update on an years-old report questioning the "over-rigid application of editorial guidelines on impartiality" in science reporting. Or, as the Telegraph put it, they were told to "stop inviting cranks onto science programmes." Which seems slightly harsh. The original 2011 report (which is fascinating) mentions examples in three areas where it was believed that giving proper weight to scientific conclusions was sacrificed in order to achieve a rigid definition of "impartiality." And those three examples are pretty familiar topics in popular scientific discourse: vaccines, GMOs, and climate change. 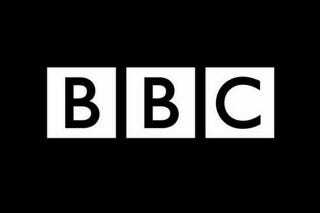 A frequent comment received during this review is that elements of the BBC – particularly in the area of news and current affairs – does not fully understand the nature of scientific discourse and, as a result, is often guilty of "false impartiality"; of presenting the views of tiny and unqualified minorities as if they have the same weight as the scientific consensus. That approach has for some (but not all) topics become widespread. Conflictual reporting of this kind has the ability to distort public perception. It arises in part because news and current affairs presenters, who have to think on their feet in a live interview, may have little insight into the topic being discussed and hence find it more difficult to establish balance than when dealing with politics, the media or finance. This is a problem that isn't specific to the BBC, of course. It's a common complaint for any media outlet claiming to impartiality. In the U.S., it's CNN that gets hit with this most, since MSNBC and Fox News have distinct points of view. As for the BBC, it tried to address this problem immediately following the initial report, but discovered that its plan, seminars training its staff in "fact and opinion in scientific discourse" took longer than it had anticipated. The broad principle of 'due weight' is, of course, easily explicable, and in practice the centre of gravity in some subjects can be readily identified. But in a wide range of areas (for example, badger culling, stem cell research, genetically modified food or nuclear energy) it is harder to delineate where the scientific consensus might lie. This meant we have spent many months gathering guidance and information from a range of distinguished experts and organisations outside the BBC. Finally, on July 3rd of this year, the BBC Trust released another follow-up. Now, 200 of its executives have attended the "due weight" workshops and seminars on the issue. Basically, according to the trust, the hammered home the point that impartiality isn't just giving voice to a wide range of views but also on how much prominence each view should be given. According to the most recent follow-up, "The Trust wishes to emphasise the importance of attempting to establish where the weight of scientific agreement may be found and make that clear to audiences." It's an interesting approach. If it actually produces notable results, let's hope for more "due weight" approaches elsewhere. Or, everyone could just take the John Oliver route.